Office and Lobby Signs play an important part in transmitting your corporate image and culture to your clients, suppliers or employees. 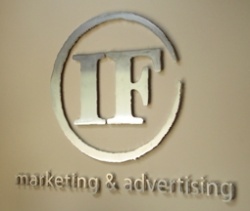 Ottawa Custom Signs offer a wide variety of styles and materials for office and lobby signs. Materials such as bronze, aluminum, stainless steel and colorful plastics will match any image desired. We offer a number of modular Directory Sign systems which provide your clients the information they need, project a professional image, and permit quick and easy name changes. To make an enquiry about Office and Lobby Signs please contact us now. To order an Office or Lobby Sign now please click here.